Our editor Jon Sutton pauses to appreciate two long-running psychological BBC Radio 4 programmes – Digital Human and All in the Mind. Within 10 minutes of waking each morning, I have encountered half a dozen amazing things that I take for granted (namely electricity, stairs, mobile phones, coffee, locks, and poo bags for dogs). As I wend my way to work, it’s usually the turn of bicycles, headphones and radio/podcasts. In particular, there are two enduring marvels which we should never overlook. We have reviewed BBC Radio 4’s Digital Human and All in the Mind in these pages before, and met the presenters (and psychology graduates) Aleks Krotoski and Claudia Hammond. But they’ve been churning out high-quality episodes for so many years now that it seems passé to simply say ‘they’re great, listen to them’. Instead, I thought I would speak to Aleks and Claudia, and their producers (Peter McManus on Digital Human, and Adrian Washbourne for All in the Mind), to find out the secrets of their success. They will be referred to throughout by their initials. Is it easy to find new topics to cover after all these years? CH: There’s so much interesting psychological and neuroscientific research being published at the moment, and also so much happening in the field of mental health, that the difficulty is choosing which subjects to choose from all those we want to cover. We are on air for two nine-week series a year, so between series we save up topics, and by the planning stage the producer and I each have a stack of ideas. Then as soon as the series begins, listeners suggest even more topics. We can’t fit them all in. AK: We have an ongoing Slack channel and a Google doc that runs in the background during and between series… we throw ideas and links and fragments of thought into them. It’s rich pickings for the meetings when we get together and hack through the next series’ topics. PM: The clue is in the title Digital Human – I’d struggle to think of an aspect of modern living that isn’t affected by technology or that some tech company doesn’t have in its sights, so the possibilities are endless. But we go through a very thorough process of checking a theme ticks all the boxes and have had to drop ideas when they don’t measure up. In terms of interviewees we always like to throw in the unexpected; from our very first episode where we had a nature diarist commenting on our urge to take pictures of everything around us. Has your subject matter or approach changed? CH: In my early days on All in the Mind very few other programmes ever covered mental health. Now that coverage is more widespread, we are freed up from covering the basics so often, and we’re able to take a more nuanced approach, based on years of experience within the team. As a long-running programme, we’re also able to revisit topics and look at how things have changed because we remember covering it the first time. I also have the frustration of seeing some things that don’t seem to change, however much good work people are doing in the hope that they will. On the positive side, one of the biggest differences I’ve seen in my time on the programme is the willingness of people to come on the programme to talk about their difficulties without asking for their name to be changed. That suggests attitudes to mental health are changing. AK: I think we’ve been really consistent throughout the 10 series. The balance of psychology and digital observation is approximately the same, I’d argue. We also get the opportunity to explore the philosophical, anthropological and social phenomena – we’ve got the soft sciences covered! I don’t think psychology has changed, but I would say I have a better understanding now of the vast range of topics tackled by psychology because of the series. Our audience is global, which was always the intention from the beginning. It’s gained great traction all over the world – thank goodness for podcasting! PM: I don’t immediately think of it as a series about psychology, but more what it’s like to be living in the modern world – psychology just often seems the best language to describe that. On listenership it’s surprising how big a proportion of our ‘download’ audience is international, it’s much bigger than similar Radio 4 series. One really gratifying piece of feedback we’ve got is from schools and universities who use the programmes not just as a means of discussing the impact of digital technology but also as examples of how to explore an idea. CH: One way is by constantly covering topics which are just emerging. I chair a lot of public events where people come up afterwards and tell me about interesting things that are happening or things that concern them. And of course people use Twitter to contact me; we get lots of emails; and we still get handwritten letters too, letters over which people have clearly taken a lot of care. We do read it all, and this contact with our audience definitely makes a difference to the programme. But we also work to ensure the sound of All in the Mind evolves too. Listening back to the programmes from the archive you can hear how much it’s changed over the years. Recently we’ve started having a guest in the studio sometimes who stays throughout the programme, commenting on each item and also bringing some new research to talk about [including Dr Catherine Loveday, Chair of the Psychologist and Digest Editorial Advisory Committee]. This means we can cover six or seven topics in one programme instead of three or four. We are also doing the occasional outside broadcast with a live audience, which I really love. There’s nothing like having people there in the room with you to get a sense of what audiences really want to know. And finally, the All in the Mind Awards have given us the opportunity to feature individual stories of mental health and recovery at length. The response we had was extraordinary, and if we can secure the funding, we would love to continue having awards every two years. AK: We are lucky to have a vast pool of content: the ever-changing human in the constantly evolving digital world! We are all also constant audio listeners; I always have my ear to new sounds. It’s literally thrilling to be part of the podcast space and hear the new ways people are telling stories through this glorious and immersive medium. PM: One of the delights of making the show is finding the stories and devising the soundscapes that will bring the ideas we’re exploring to life. It’s a constant creative challenge, but one we love meeting, so the freshness comes from that passion. Do the psychologists you invite onto the programme usually say yes? CH: We’re very lucky… I can’t think of the last time a psychologist we invited on said no. There’s no doubt that psychologists are becoming far more confident about being interviewed and better at explaining their work in lay language, but it is the case that for a few, unfortunately, past experience with the media has made them wary. We have the advantage of being a specialist programme, made by the BBC’s Radio Science Unit, which means academics know we’re going to take their work seriously. Sometimes psychologists have told us they have a policy of saying no to interview requests, but have made an exception for All in the Mind. Any particular challenges along the way? AW: In terms of a challenge, it’s probably managing our listeners’ expectations – always getting the balance between claims made about a new breakthrough but then examining the reality of access to it and its impact. Also getting accurate representative first-person testimony within the field of mental health – that takes time and careful sensitivity. A lot of effort has to go into researching the right contributors and gaining their trust and confidence to come on and discuss particularly sensitive issues surrounding their condition. Mental health diagnosis isn’t always an exact science so we have to be extremely careful with contributors’ use of general terms like depression and psychosis. No single person’s testimony is fully representative, but we hope that elements of their stories are enough for people to be able to identify with. What do you think your programme is best at? AK: We really like to look at a question from lots of different angles, and always take a step further than the most obvious case study. I think what we are best at is asking a provocative and unexpected question, and then supporting it – or disputing it – with curious and unexpected evidence. AW: Perhaps it’s the wide range of topics that the programme is able to cover. Neurophysiology, for instance, seems to be going through a rich period producing results that translate into real potential to get at the heart of some current psychological conundrums and mental health conditions. I’m very proud that we create a programme that appeals to a general listener through a mix of items that can offer up surprise, can be extremely moving, and reflect both the current news agenda as well as issues in psychology and mental health which get covered nowhere else. Any powerful moments from across the years? CH: It’s wonderful when people tell us they heard something in our programme that really spoke to them. Just this week a man emailed to say he lay on his bed and cried for his teenage years when he heard two teenage girls speaking about mind-wandering and ADHD. He said that suddenly everything he had experienced made sense. So we invited him to come into the studio to tell us about it. AK: We have the benefit of having a really broad listenership, in terms of age and location, so when I hear directly from listeners that a subject has been revelatory to them, or the way we asked a question has provoked new thinking about our selves in the modern era, I am excited about the programme all over again. 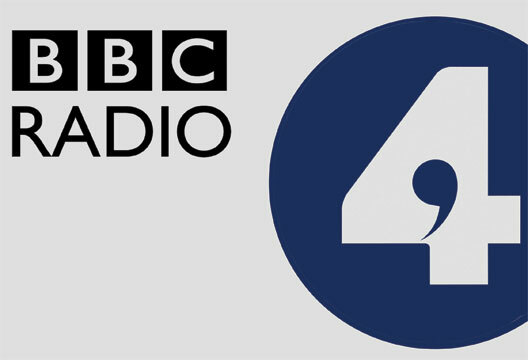 - Both Digital Human and All in the Mind return in April on BBC Radio 4, and hundreds of past episodes are available to download via their websites.